Grew Up… alone. Blade’s pregnant mother was attacked by a vampire and hospitalized, forcing the doctors to perform a C-section to save Blade. His mother didn’t make it and he never found out who his father was. Despite his limited of knowledge regarding his parentage Blade was the recipient of an insidious inheritance: the kiss of the vampire. Living… in a secret world, one that most people will never see. 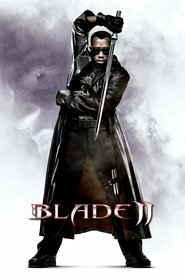 Blade has dedicated his life to avenging his mother by hunting down every vampire that he can find. Throughout his quest he’s learned that the bloodsuckers have infiltrated the highest ranks of society, steering politics, finance, and society through their immortal wealth and influence. 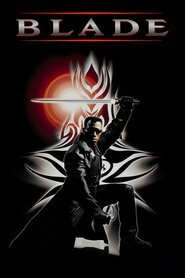 Everyone who knows about the vampires is terrified – but the vampires are afraid of Blade. Profession… vampire hunter. Blade’s mother was bitten by a vampire while she was in labor, infecting her with vampirism which was partially transferred to Blade. As a result Blade was born a Daywalker – a half vampire with most of the strengths of a vampire and none of the weaknesses. These incredible gifts combined with the equipment provided by his mentor Abraham Whistler makes him a formidable foe, even against the children of the night. Relationship status… single. 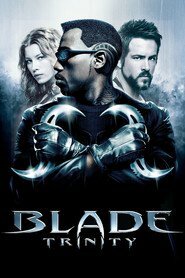 Blade can’t afford to get too attached to anyone, as he’s in just about the most dangerous line of work there is. Plus, if he was interested in a girlfriend where would he find the time? Hunting the living dead is an all-day-every-day commitment. Challenge… stopping the upstart vampire Deacon Frost from conquering mankind. While most vampires are content to rule the world from the shadows, playing puppet master and using wealth and influence to coexist with humans, Frost believes that it’s the vampire’s destiny to rule over humankind. He’s cooking up something big that could usher in a new dark age for humanity, and Blade is the only one with the skills and knowledge to stop him. The hunt is on. Personality… cool and professional. Blade is a smooth operator who prefers to let his weaponry do the talking. His hatred for vampire’s borders on fanatical, but you’ll never find Blade foaming at the mouth. He moves through his fights with a cool-headed certainty, placing every blow and bullet exactly where it needs to be. When Blade isn’t distracting himself by fighting the most dangerous enemy on earth, he’s planning for his next battle. As long as he’s busy he doesn’t have to focus on his twisted parentage, a topic that inevitably leads to intense self-loathing. Blade's popularity ranking on CharacTour is #429 out of 5,000+ characters. See our top-ranked characters and read their profiles.